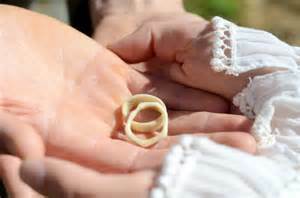 The average Australian wedding costs $36,000. For something that only lasts a few hours, that&apos;s pretty mind-blowing. One couple in the UK has decided to do things differently, setting a budget of one British pound (that&apos;s $1.70) for their big day. Georgina, 36 is an artist and Sid, 39, is a singer-songwriter. 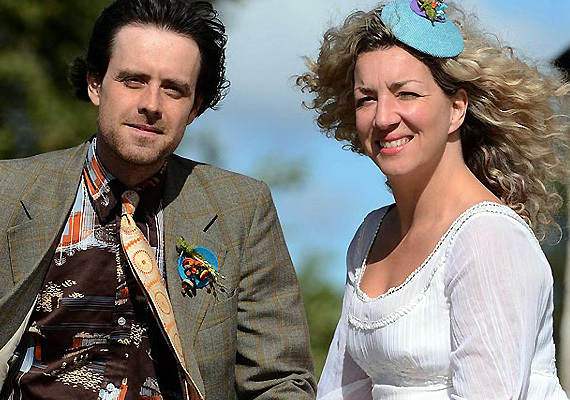 They first laid eyes on each other at an art fair in Glasgow in 2009. The rest is frugal history. 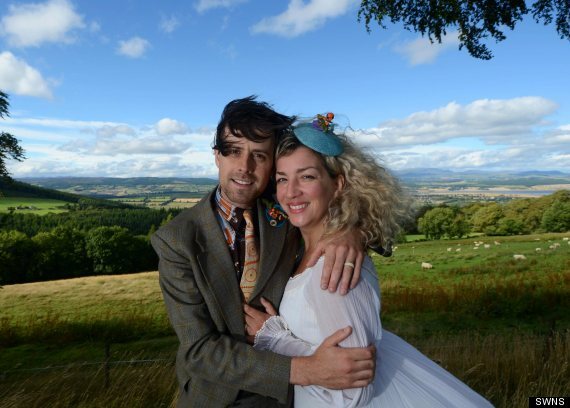 He proposed in Berlin last year and the couple have settled in Inverness in Scotland. 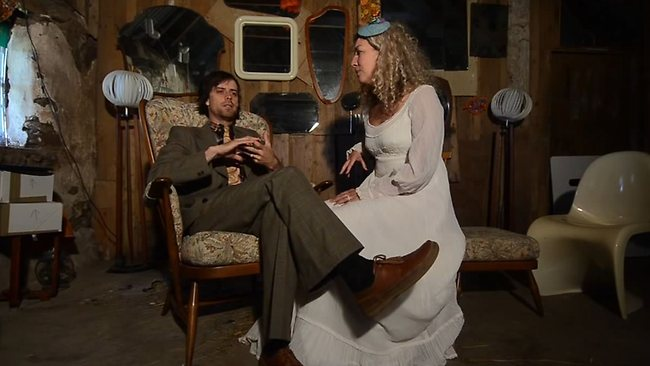 They wanted their wedding to reflect their lifestyle. They are dedicated to recycling and self-sufficiency. The couple reached out to friends on Facebook. Georgina found her dress on freecycle.com, a site that offers goods for free, exchange or for very little. The 1960s vintage gown was the only expense and cost $1.70. Typical bride spending the entire wedding budget on a dress! Sid wore an old tweed suit he has owned for years. 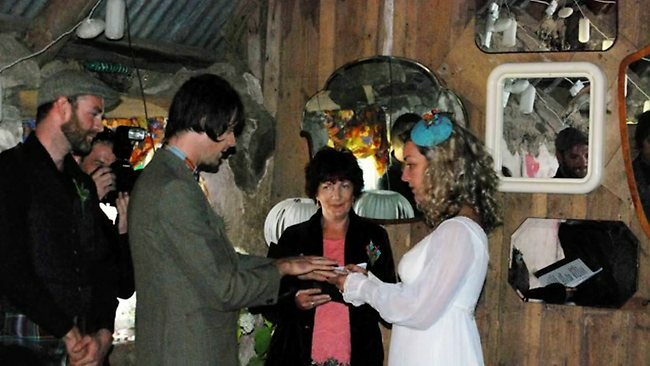 They wedding rings were hand-crafted by Georgina using antlers she found in their garden. Yes, we said antlers. 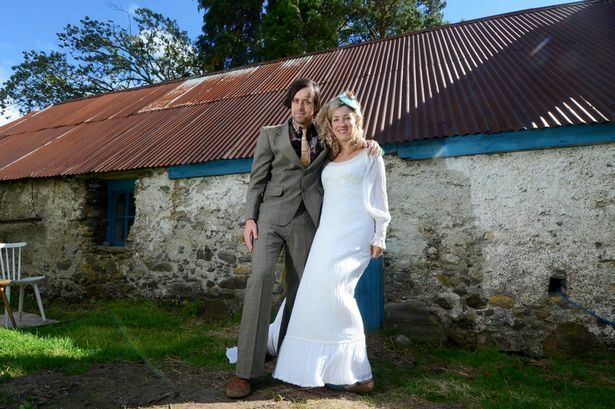 The couple decided to get married in the barn behind their cottage home. They decorated the venue with flowers donated by local growers and bales of hay from farmers. Her mother Susanne was the MC and her father Harry entertained the crowd with his saxophone. Local reverend Peter Donald pronounced them husband and wife and guests made a donation to his church in exchange. An official wedding photographer worked for free in exchange for Georgina offering her freelance film editing services to him. The reception was a picnic and each guest had to bring a plate and drink. How fun. They dined on home-made quiches, sausage rolls, boiled potatoes, fresh bread and salad. Georgina&apos;s aunt baked the cake. It was a three-tiered chocolate orange cake. "I don&apos;t see the point in these massive weddings," the happy bride said. "It takes away from what marriage is truly about." They are splurging on their honeymoon though, spending month in Berlin. Georgina explained that while they will spend more money on their honeymoon than on their actual wedding they will still be able to save because they have so many friends living there. Because that&apos;s exactly the kind of house guests you want on your doorstep...newlyweds who are trying to save. How did you save money on your wedding? 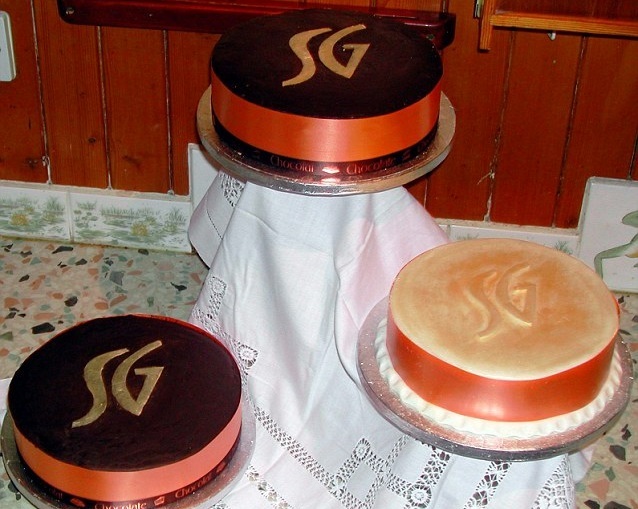 We think Georgina and Sid&apos;s wedding cake, baked by their aunt, was simply beautiful. Much better than some of these wedding cake fails. Georgina and Sid photo and video credit YouTube. Wedding cake gallery by Alex Lily. facebook stalking an exMindless face touching spreads bacteria and oils, causing congestion and breakouts. man with baby"It just felt natural."